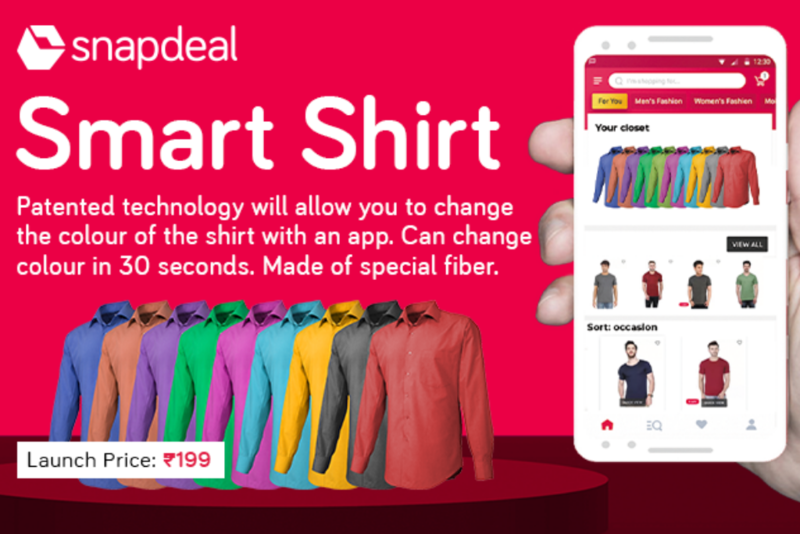 colourXn, a Silicon Valley start-up focusing on smart wearables has launched a “Smart Shirt” on Snapdeal, which allows users to change the colour of the shirt through a mobile app. The user simply has to install the smart shirt app, and choose the desired colour. The shirt will automatically change its colour to the chosen colour in less than 30 seconds. The shirt will be available in default white colour and through the app, it can change up to 10 colours, with varying shades of each colour. Made with special fibre, the shirt is lightweight, comfortable and is machine washable as per instructions provided with the garment. The technology for the colour change has been developed by colourXn, a Silicon Valley start-up co-founded by Sathyah Balasubramanian, who till 2017 was part of the product team at Snapdeal. The technology is awaiting patent in leading markets of the world, including in Europe, US and Asia. The smart shirt is available in both men’s and women’s variants. The registrations for booking the shirt opens 1st April. The invitation price for the smart shirt is Rs 199.